Did This Michelin Chef Really Vape Parmesan Cheese? Artists go to great lengths to develop their craft. Here’s what inspired three-time Michelin star winning chef Massimo Bottura to vape parmesan cheese. Three-time Michelin star winning chef Massimo Bottura goes to great lengths for the perfect dish. But, did he really vape parmesan cheese? Jeff Gordiner describes what it’s like to smoke some parmesan with a world-renowned chef in an editorial for New York Times Magazine. Chef Massimo Bottura is known for his bold, daring, and experiential creations. His restaurant, Osteria Francescana, is the first Italian restaurant to earn the title of world’s best. 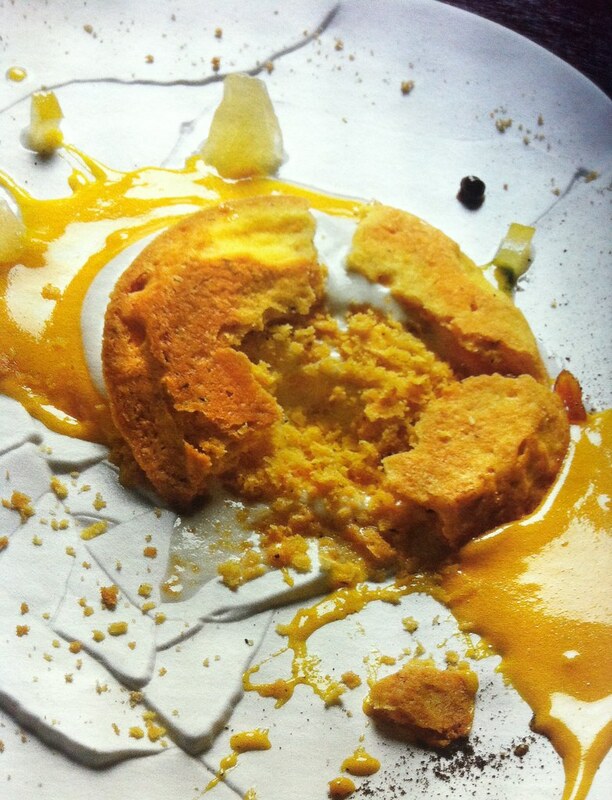 Every dish showcases Bottura’s boundless creativity. Inspired by his country, family, art, and life, Bottura presents creations like, “Crunchy Part of the Lasagna” and, “Oops! I Dropped the Lemon Tart”. In Bottura’s kitchen, the only limit is imagination. He has a reputation for using all sorts of devices and obscure technologies to enhance the technique and experience of his cuisine. He has even cooked a meal in an entirely soundproof room, capturing the sounds of his favorite dish. It’s no surprise then that one day when Bottura was struck by one of his moments of genius, he decided to add a new tool to his kitchen arsenal: a vaporizer. The idea came from a mental image. Bottura pictured ribbons of fog covering a bridge, and that lead to another “obvious” question. What if the fog was actually Parmigiano? His artistic gears started turning. The food he decided to smoke? That’s right. Cheese. Specifically, an ultra high-quality Parmigiano-Reggiano. Jeff Gordiner recalls his first-hand experience with the cheese vape for New York Times Magazine. Gordiner happened to be around while Bottura’s team was cleaning house. Of course, Gordiner gave it a go. For a couple of blissful seconds, he experiences the pure essence of Parmigiano. The cheesiest of cheese flavors he has ever tasted. Flavor bliss in a breath. Unfortunately, these split seconds of amazement ended with some quality time spent coughing up milky goo later in the evening. A rather gross price to pay for a moment of culinary art. As most people would guess, cheese is not the best thing to put in a vaporizer. However, there are plenty of healthier ways to incorporate the tool into a dining experience.